When you are installing a ventilation system, you not only want to save money, you want to save time. This UltraPro Short Body Tee allows you to do just that with HomeSaver's patented band connection clamp that eliminates the need for pop rivets or screws, saving you time and hassle. The short body tee has a removable uncrimped 10 in. take off that is to be used with 8 in. 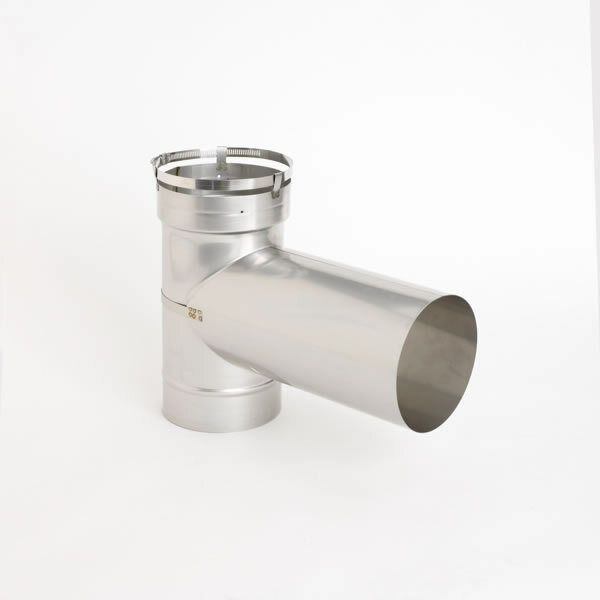 chimney liner pipe. This tee is made from 316-T1 alloy stainless steel construction, making it a strong and durable for years of use.